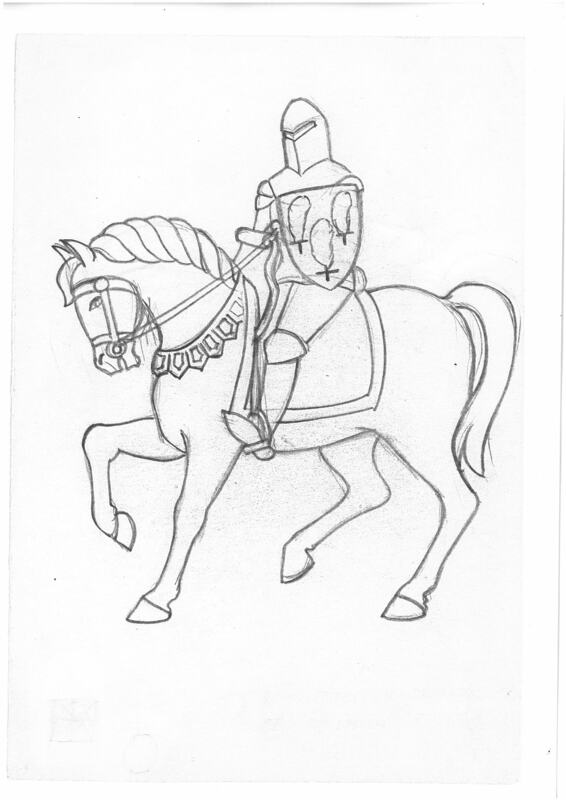 Original sketch of the Black Knight by Alf Sutton. He was disappointed that it had to be simplified for ease of production, but was still proud to have been asked to make the drawings. Edward – who became known as the Black Prince – was born in 1330. He was the eldest son of King Edward III and Queen Phillipa. Between 1337 and 1360 England and France were at war with each other. During these wars Edward was recognised as one of the best military leaders of all time. At the age of 16 he won his spurs at the Battle of Crecy and 10 years later he captured the French King, John II, at the Battle of Poitiers. Edward is thought to have worn armour covered with black velvet so eventually was known as the Black Prince. In 1237 Cheylesmore Manor House was built for the Earl of Arundel. In 1320 the house and surrounding parks belonged to Edward’s Grandmother, Queen Isabella. She gave these grounds as gift to Edward. He was very fond of hunting in the grounds. In 1376 Edward became ill and died at the age of 46.